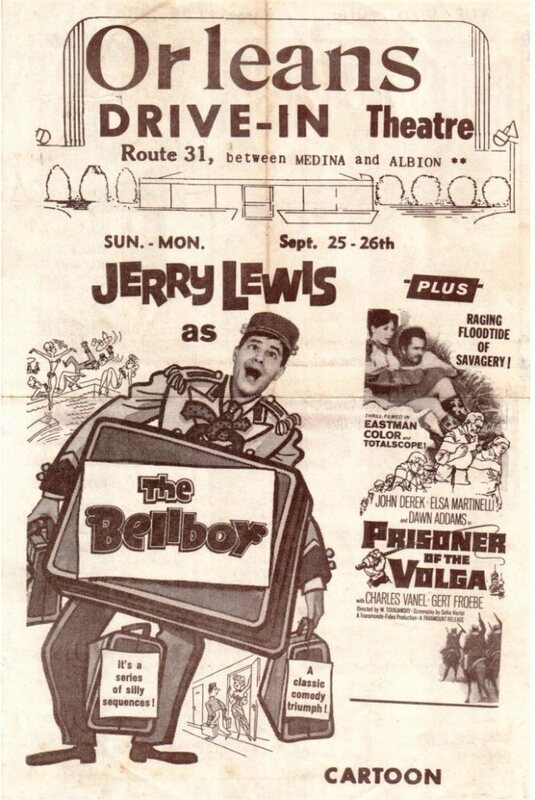 This ought to bring back some memories! 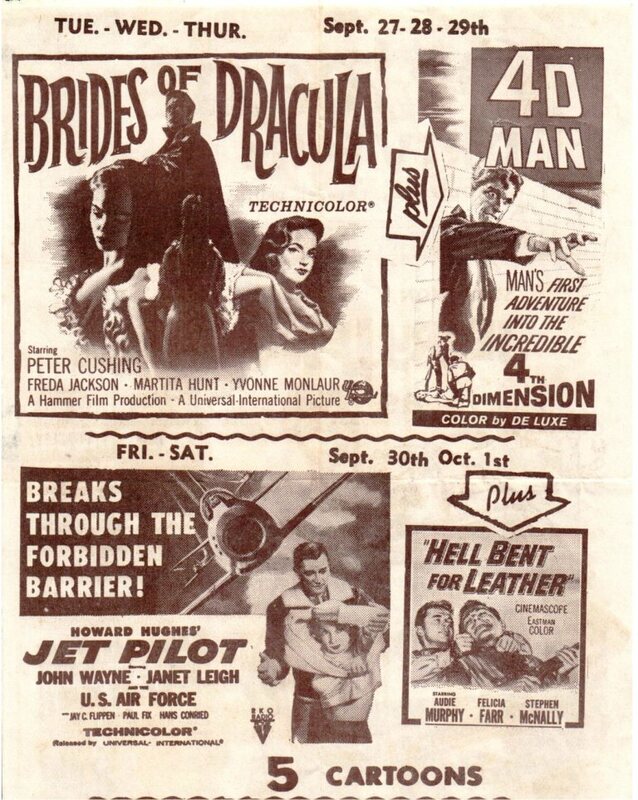 A coming attractions flyer for September showing at the Orleans Drive In – year unknown, but we can assume it was likely 1960-ish because The Bellboy and Brides of Dracula both came out in 1960 and The Jet Pilot came out in 1957. What’s your favorite memory of the drive in? Going as a child in your pajamas and swinging on the swings until the cartoons started? Popcorn at the concession stand? Date night with that special someone? Or maybe going with a car load of friends? Whatever memories this post conjures up, I’m sure they put a smile on your face!